In a large, clean bowl, beat the egg whites until stiff peaks form. In a separate bowl, beat the egg yolks until light in color; gradually beat in the sugar, allspice, cinnamon, and cloves. Fold the yolk mixture into the whites. Pour 2 tablespoons into four mugs each. Add 1 ounce brandy and 1 ounce dark rum to each mug. Fill with hot milk. Stir well, and dust with nutmeg. While for some the name may conjure up images of a famous cartoon cat and mouse, this holiday drink created in the 1820s, is an old tradition that’s worth keeping around. 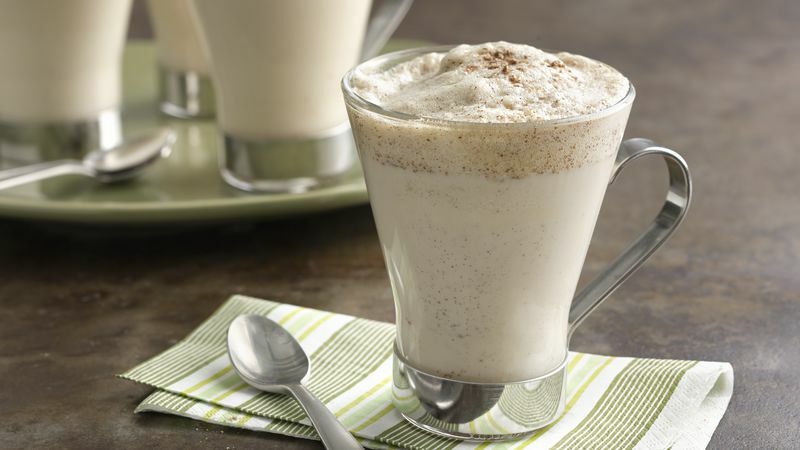 A cousin to eggnog, this egg-based cocktail is served warm with brandy, rum and hot milk. While it takes a little bit of effort to whip both the yolks and whites separately for a Tom and Jerry drink, it does make a large batch so that everyone can enjoy a big cup of creamy, comforting holiday cheer. Interested in a non-alcoholic version? Just skip the brandy and rum and go straight to the milk. For more holiday fun, check out these other rum recipes ready to help you party.